A searchable database containing employment profiles of government employees and contractors is now being hosted by WikiLeaks after spawning cyberattacks and deaths threats. The anti-secrecy organization announced on Wednesday of this week that it will now house the ICWatch project, launched earlier this month by the Transparency Toolkit group, amid security concerns. As RT reported at the time, ICWatch contains resumes and personal information lifted from the public job profiles of thousands of individuals associated with the United States intelligence community and the secretive spy programs waged by the likes of the US National Security Agency. However, after the original site went live earlier this month, its administrators reportedly came under fire. WikiLeaks announced previously that it would begin hosting ICWatch this week, and on Wednesday stated that it had been driven to make the decision by death threats and distrusted denial-of-service, or DDoS, assaults made against the site. “I promise that I will kill everyone involved in your website. There is nowhere on this earth that you will be able to hide from me,” a supposed contractor wrote to Transparency Toolkit after the site was launched, according to WikiLeaks. 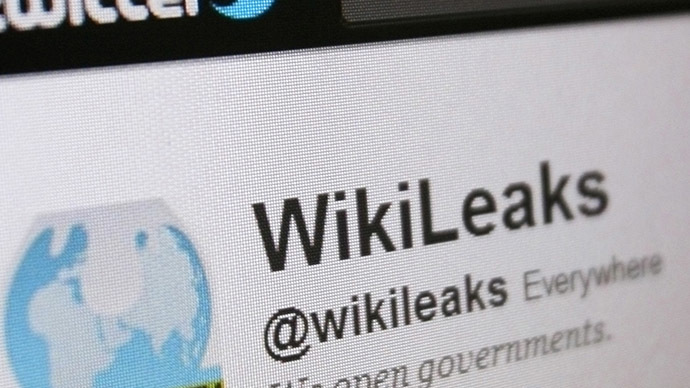 “The death threat quoted above, sent from a US intelligence analyst in Washington DC to the project on May 13, perhaps perfectly encapsulates why the US intelligence community (IC) needs to be kept under close observation,” WikiLeaks said in a statement on Wednesday. According to the secret spilling organization, “WikiLeaks can shield the project from censorship and intimidation” by assuming hosting duties from Transparency Toolkit. Additionally, the jobs profiles already included on ICWatch has been merged with WikiLeaks’ own search engine, allowing visitors to the controversial whistleblower website to know peruse upwards of 8.62 million records, ranging from the LinkedIn profiles of NSA spooks to the US State Dept. cables provided by former Army intelligence analyst Chelsea Manning. "I think that this information can be used to provide contacts to existing programs to see in what situations they might be used, what companies are using them, potentially, from there figure out what contracts are funding them," M.C. McGrath said in an interview to RT, adding that ICWatch will also help "uncover new codewords, and new programs and new activities of the intelligence community." "I would like to use this to start conversations with the people involved," McGrath said, "because I think that there's been a lot of great discussion of this at the institutional level, at the company level and at the program level, but very few people have looked at the people involved. I think that's a big mistake, because institutions are made out of people and I don't think we can reform the institutions without understanding the people within them." ICWatch contained details lifted from 27,000 supposed intelligence contractors when it was launched earlier this month, and has since increased the number of listings to 139,361, WikiLeaks said.